From Pointillism to Cubism - the genesis of Modern art. The story of Western art is a long one, and most countries have played their part; but over the centuries two countries have played a greater part in defining Western art than most; Italy and France. 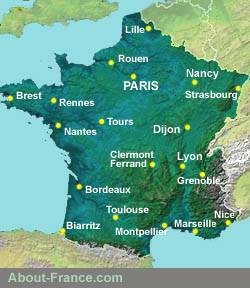 In the twenty-first century, Art is one of the major attractions of France as a tourist destination. People come from all over the world to admire France's museums and art galleries, its stunning medieval architecture, its great Renaissance châteaux, its artistic and cultural heritage in general. The following pages tell the story of art in France from the beginnings up until the dawn of the Modern age. Most of it is "French art", but some is the work of artists and architects who came from other countries to live and work in France. Leonardo da Vinci, Van Gogh, Picasso and many more. For many thousands of years, art evolved very slowly, if at all. By Roman times, it had reached a degree of sophistication, but little remains in France of Roman art beyond some fine sculpture and intricate mosaics. Not much remains either of early medieval art, most of the historic art and architecture in France dating from the past thousand years. From the eleventh century onwards, the pace of artistic change accelerated. The Romanesque style in architecture and the Byzantine style in painting were superceded by the new International Gothic style that gave us Notre Dame Cathedral in Paris, among many other great surviving churches from this age. Then came the Renaissance, which had started in Italy but flourished in France in the fifteenth century, when France was at the cutting edge of European culture and art. 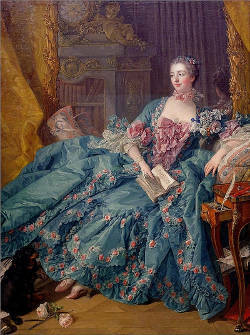 In the visual arts, it was in the nineteenth century that France reemerged as a world leader, and Paris came to be seen as the world capital of art . It was here that modern European art was born. While landscape art and Romanticism in literature had blossomed earlier in England, it was in France that artistic Romanticism took strongest hold, leading to a reappraisal of the meaning and purpose of art, and the liberation of new inhibitions. Out of this came Impressionism, and beyond Impressionism, the whole rapid development of modern art. 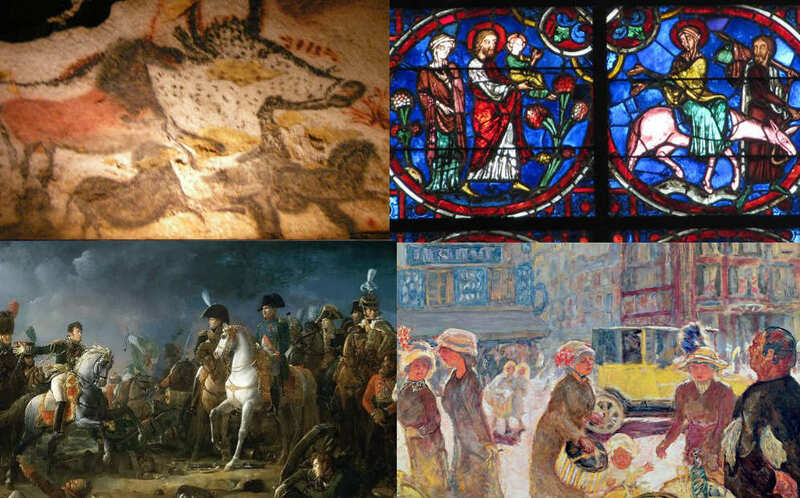 The seven chapters of the About-France.com history of art in France clearly trace the development of art through its great historic periods, up as far as the start of the Modern age – with some tips on where to see the best collections and sites.